This is the Dellingr spacecraft right before its release. NASA specifically developed this spacecraft to provide high-quality science data on a small platform. NASA ground controllers have begun checking out and commissioning a shoebox-sized spacecraft that the agency purposely built to show that CubeSat platforms could be cost-effective, reliable, and capable of gathering highly robust science. 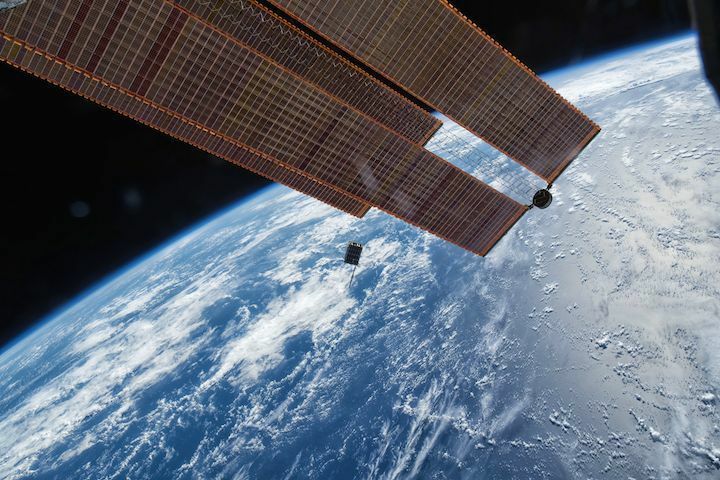 The Dellingr spacecraft will begin science operations once ground controllers complete checkout, which began a few hours after the NanoRacks CubeSat Deployer aboard the International Space Station released the CubeSat into its low-Earth orbit Nov. 20. “We’re ready to start demonstrating Dellingr’s capabilities,” said Michael Johnson, chief technologist of the Applied Engineering and Technology Directorate at NASA’s Goddard Space Flight Center in Greenbelt, Maryland. He was instrumental in pulling together a small team of scientists and engineers charged with developing the low-cost platform within a relatively short period of time, especially compared with larger, more traditional spacecraft. “We believe Dellingr will inaugurate a new era for scientists wanting to use small, highly reliable satellites to carry out important, and in some cases, never-before-tried science,” Johnson added. Dellingr, named after the mythological Norse god of the dawn, was designed to not only demonstrate the vigor of its design, but also gather high-quality data about the Sun’s influence on Earth’s upper atmosphere using a suite of miniaturized instrumentsand components. Originally created in 1999 by the California Polytechnic State University, the CubeSat concept has grown in popularity among scientists because of its low-cost and promise to allow never-before-tried observing techniques. Constellations of many spacecraft are a mission architecture enabled by CubeSats. Instead of flying missions comprised of single spacecraft, scientists saw the potential for flying constellations of these tiny spacecraft around Earth or other solar bodies to perform simultaneous, multi-point observations — a measurement technique not financially feasible with larger, more traditional spacecraft. 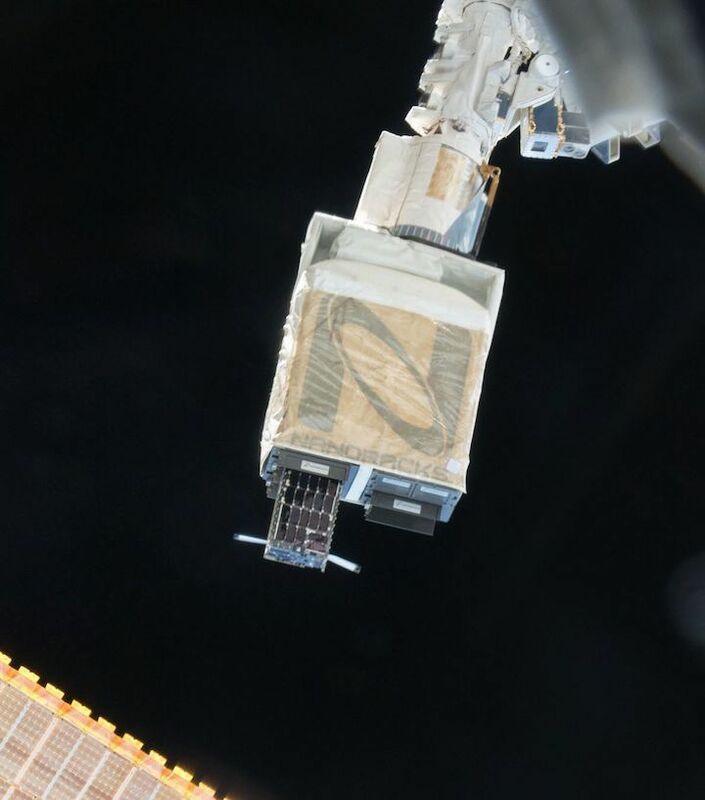 Although the platform offers great potential, historically CubeSat missions have exhibited a success rate of about 50 percent, Johnson added. Johnson and the Dellingr team wanted to alter the perception of CubeSats as unreliable science platforms and in 2014 began their pathfinder project. The team implemented systems-development approaches that would assure a reliable, yet cost-efficient satellite that not only delivered compelling science, but also changed the CubeSat paradigm. The spacecraft carries three heliophysics-related instruments, including the Ion-Neutral Mass Spectrometer that will sample the densities of neutral and ionized atom species in the atmosphere, and two miniaturized magnetometer systems to measure Earth’s magnetic fields. Dellingr also carries a miniaturized device for deploying one of the magnetometers and its UHF antenna as well as a fine sun sensor that will orient the instrument to the Sun. A new thermal-control technology used to regulate spacecraft temperatures also will be demonstrated. Although in orbit now for only eight days, Dellingr already is a success story, Johnson said. The lessons learned from the Dellingr project are being infused in current and future missions, including the recently awarded PetitSat, leading to enhanced science return, and increasing the reliability of this revolutionary platform. This image shows the release of the Dellingr spacecraft, which NASA specifically developed to provide high-quality science data on a small platform.